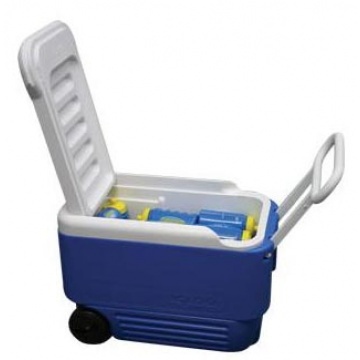 Wheelie Cool 38 QT cool box with wheels. Durable wheels roll on all types of terrain. Igloo Ultratherm™ insulation for improved cold retention. Additional side handles for lifting. Vertical space for 2 litre bottles. Holds 53 x 330 ml drinks cans. 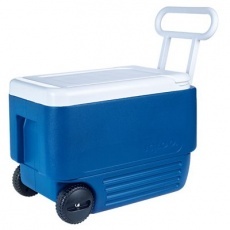 Capacity 38 litres. Can hold a 2 litre bottle upright.